Railway old hands, not more than 65 years of age, will be recruited to preserve the heritage stocks of the national transporter, senior officials said today. 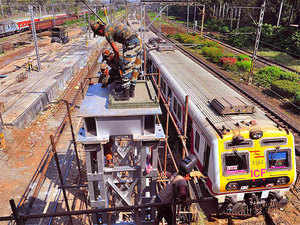 The Railway Board has approved a proposal to engage retired railway staff at Rs 1,200 per day, to preserve, restore and revive railway heritage items such as steam locomotives, vintage coaches, steam cranes, semaphore signals, station equipment and steam-powered equipment. "They have the experience to repair and maintain railway heritage and can also act as coaches for the younger generation. It is not an easy task to keep, say a clock - which is 150 years old - ticking even after all these years. The old hands have that expertise," a senior railway official said. After years of neglect, the Indian Railways has shifted its focus on preserving its heritage. In a recent meeting with zonal heads, it was decided that proper preservation and display of such heritage items needed to be ensured. The board also plans to open a logbook of all major events related to the Indian Railways, both at zonal railways as well as at the National Rail Museum. The move to engage old hands is a way to ensure that the expertise of maintaining heritage rolling stock and old equipment are passed on and that the existing treasure trove of railways symbolising 160 years of its existence doesn't get lost.